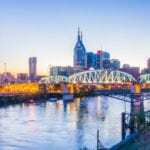 NASHVILLE, TN — The Hip Hop Nutcracker(www.hiphopnutcracker.com), a contemporary dance spectacle set to Tchaikovsky’s timeless music, was in Nashville recently, as it celebrates its 5th year anniversary. The holiday tour will be visiting a total of 29 North American cities before it concludes. 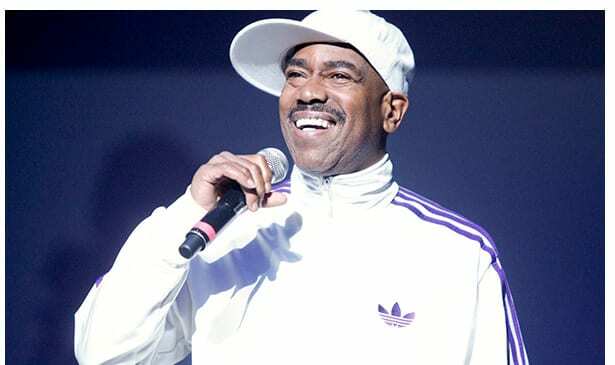 The Hip Hop Nutcracker features MC Kurtis Blow, one of hip hop’s founding fathers, who opens the show with a short set before rapping the introduction. A hip-hop legend, Kurtis Blow was 20 in 1979, when he became the first rapper to be signed by a major label. Mercury Records released “Christmas Rappin’” which sold more than 400,000 copies, becoming an annual classic. Its gold follow-up, The Breaks, helped ignite an international “Rap Attack.” Kurtis went on to release 10 albums in over 11 years. In 2009 Kurtis became an ordained minister. Having made a deep commitment to the ways and teachings of Jesus Christ, and attended Ministry classes at NYACK College. As Co-founder of the Hip Hop Church, Kurtis serves as rapper, DJ and worship leader and now licensed Minister. There are several Hip Hop Churches around the world and Kurtis is involved with many of them. “Don’t get it twisted, God has always existed,” says Kurtis. Kurtis Blow continues to remain relevant as a rapper, producer, and businessman. One of his latest business ventures is an upcoming hip-hop museum, which he will share details later in the chat. But just in time for the holidays, the upcoming museum has released 16Bars 4 Hip Hop is the premiere Rap music compilation album produced by the museum featuring 26 sizzling hot tracks recorded by Hip Hop icons and upcoming new Rap stars. A part of this project was to unite on one album to support the preservation of Hip Hop Culture. The music is available on iTunes. The Hip Hop Nutcracker tour made its annual Nashville stop a couple of weeks ago and during the stopover, The Tribune had a chance to ask MC Kurtis Five Questions. TRIBUNE: Your career has really come full circle because ‘Christmas Rappin; was your first big hit. And now, here you are as a part of the Hip Hop Nutcracker. What is that like to have an entirely new generation of fans? Kurtis Blow: I’ve been amazed to see like three generations, grandparents who bring the kids, grandkids and even great grandkids, come out to the show. It’s just a wonderful blessing. Everyone is in the holiday spirit. It’s a good look for hip-hop and a good look for music in general. The show takes this new modern culture, revamping it, and combine it with an old classic story, that modernizes it for a younger audience. It’s the holiday season, so the whole theme of the show is about love and using love. TRIBUNE: What are some key projects that you’re working on for next year? Kurtis Blow: I’m recording an album next year, 2019 on the 40th anniversary of my original ‘Christmas Rappin’ album. It’s going to be 12 new Christmas rap songs. That was my first album that started it all. And I want to thank all of the fans and the radio stations around the world that plays this song every year. It’s now been made into a holiday classic song, like Nat King Cole. TRIBUNE: What’s been your most memorable Christmas present, since you love Christmas so much? KURTIS BLOW: Let’s see, wow, I guess it would be the time I played at Madison Square Garden with Bob Marley and The Commodores. I was barely 20, and that was the first time I’d played at Madison Square Garden. I met Bob Marley. He shook my hand and told me how much he liked my music. That was a special Christmas present to me that I will never forget. Unfortunately, that was his last concert. He died about a month later. 5 Questions with Anthony Evans, Jr.